There have been a few high-profile cases in Baltimore lately which question the legality of videotaping police officers. 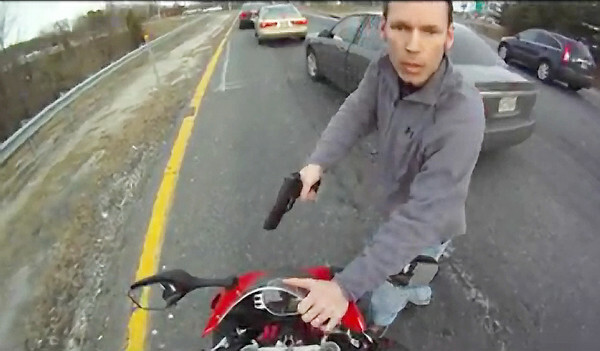 One involved motorcyclist Anthony Graber, who used a camera in his helmet to record a traffic stop, and posted the video on the Internet. He’s now being charged with violating the state’s wiretapping laws. Then at Preakness, a bystander recorded the arrest of a woman and was ordered by one of the officers to turn off the camera. Police and some others claim that under Maryland law it’s illegal to record someone without their knowledge, while the ACLU believes that the law exempts recordings made in public. Joseph Cassilly, the Harford County State’s Attorney. He is prosecuting cases in which motorcyclists recorded their traffic stops with cell phone cameras.